Optical bistability and self-pulsation (SP) in silicon microring resonators (MRRs) are experimentally observed. The waveforms and frequencies of SP can be controlled by changing input light power and its wavelength, and the region of SP can be modulated readily by applying a reverse voltage on the PN junction embedded in the MRR. These phenomena are theoretically studied by adopting the coupled-mode theory and linear stability analysis method for differential equations, with theoretical results fitting well with the experimental ones. G. Priem, P. Dumon, W. Bogaerts, D. Van Thourhout, G. Morthier, and R. Baets, “Optical bistability and pulsating behaviour in silicon-on-insulator ring resonator structures,” Opt. Express 13, 9623–9628 (2005). W. H. P. Pernice, M. Li, and H. X. Tang, “Time-domain measurement of optical transport in silicon micro-ring resonators,” Opt. Express 18, 18438–18452 (2010). L. W. Luo, G. S. Wiederhecker, K. Preston, and M. Lipson, “Power insensitive silicon microring resonators,” Opt. Lett. 37, 590–592 (2012). T. J. Johnson, M. Borselli, and O. Painter, “Self-induced optical modulation of the transmission through a high-Q silicon microdisk resonator,” Opt. Express 14, 817–831 (2006). S. Chen, L. Zhang, Y. Fei, and T. Cao, “Bistability and self-pulsation phenomena in silicon microring resonators based on nonlinear optical effects,” Opt. Express 20, 7454–7468 (2012). L. Zhang, Y. Fei, T. Cao, Y. Cao, Q. Xu, and S. Chen, “Multibistability and self-pulsation in nonlinear high-Q silicon microring resonators considering thermo-optical effect,” Phys. Rev. A 87, 053805 (2013). A. E. Fomin, M. L. Gorodetsky, I. S. Grudinin, and V. S. Ilchenko, “Nonstationary nonlinear effects in optical microspheres,” J. Opt. Soc. Am. B 22, 459–465 (2005). I. S. Grudinin and K. J. Vahala, “Thermal instability of a compound resonator,” Opt. Express 17, 14088–14097 (2009). T. Y. Liow, K. W. Ang, Q. Fang, J. F. Song, Y. Z. Xiong, M. B. Yu, G. Q. Lo, and D. L. Kwong, “Silicon modulators and germanium photodetectors on SOI: monolithic integration, compatibility, and performance optimization,” IEEE J. Sel. Top. Quantum Electron. 16, 307–315 (2010). X. Sun, X. Zhang, C. Schuck, and H. X. Tang, “Nonlinear optical effects of ultrahigh-Q silicon photonic nanocavities immersed in superfluid helium,” Science Reports 3, 1436 (2013). H. A. Haus, M. A. Popovic, M. R. Watts, C. Manolatou, B. E. Little, and S. T. Chu, “Optical resonators and filters,” in Optical Microcavities, K. Vahala, ed. (World Scientific, 2004). 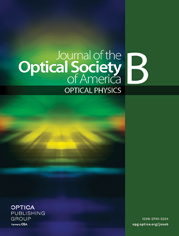 A. de Rossi, M. Lauritano, S. Combrié, Q. V. Tran, and C. Husko, “Interplay of plasma-induced and fast thermal nonlinearities in a GaAs-based photonic crystal nanocavity,” Phys. Rev. A 79, 043818 (2009). V. Van, T. A. Ibrahim, P. P. Absil, F. G. Johnson, R. Grover, and P.-T. Ho, “Optical signal processing using nonlinear semiconductor microring resonators,” IEEE J. Sel. Top. Quantum Electron. 8, 705–713 (2002). B. E. Little, S. T. Chu, H. A. Haus, J. Foresi, and J.-P. Laine, “Microring resonator channel dropping filters,” J. Lightwave Technol. 15, 998–1005 (1997). T. Van Vaerenbergh, M. Fiers, P. Mechet, T. Spuesens, R. Kumar, G. Morthier, B. Schrauwen, J. Dambre, and P. Bienstman, “Cascadable excitability in microrings,” Opt. Express 20, 20292–20308 (2012). T. Van Vaerenbergh, M. Fiers, J. Dambre, and P. Bienstman, “Simplified description of self-pulsation and excitability by thermal and free-carrier effects in semiconductor microcavities,” Phys. Rev. A 86, 063808 (2012). D. Dimitropoulos, R. Jhaveri, R. Claps, J. C. S. Woo, and B. Jalali, “Lifetime of photogenerated carriers in silicon-on-insulator rib waveguides,” Appl. Phys. Lett. 86, 071115 (2005). S. Park, K. Yamada, T. Tsuchizawa, T. Watanabe, H. Shinojima, H. Nishi, R. Kou, and S. Itabashi, “Influence of carrier lifetime on performance of silicon p-i-n variable optical attenuators fabricated on submicrometer rib waveguides,” Opt. Express 18, 11282–11291 (2010). T. Kuwayama, M. Ichimura, and E. Arai, “Interface recombination velocity of silicon-on-insulator wafers measured by microwave reflectance photoconductivity decay method with electric field,” Appl. Phys. Lett. 83, 928–930 (2003). FIMMWAVE, Photon Design Ltd., http://www.photond.com/products/fimmwave.htm . A. C. Turner-Foster, M. A. Foster, J. S. Levy, C. B. Poitras, R. Salem, A. L. Gaeta, and M. Lipson, “Ultrashort free-carrier lifetime in low-loss silicon nanowaveguides,” Opt. Express 18, 3582–3591 (2010). Fig. 1. Schematic of the measurement setup. The laser is amplified by EDFA and its polarization is controlled by PC, single-mode tapered fiber is used to couple the light into and out of the chip with coupling loss of about 5 dB/facet. A DC power is used to adjust the free-carrier lifetime. Inset: SEM image of silicon MRR before fabricated PN junction. CW laser, tunable continuous-wave laser; EDFA, erbium-doped fiber amplifier; PC, polarization controller; PD, photodetector; OSA, optical spectrum analyzer. Fig. 2. Measured spectra of optical transmission of the silicon MRR (without GSG probe) at various input power levels. The quoted input power refers to the power at the bus waveguide before coupling into the MRR. Inset: zoom-in views of optical spectra for lower input powers. The laser wavelength is swept from shorter wavelength to longer wavelength. Fig. 3. Real-time waveforms at different input wavelength with fixed input power 10 dBm. (a) λ=1544.5 nm (Δλ=610 pm); (b) λ=1544.9 nm (Δλ=1010 pm). The movie of the dynamical process when sweeping the input wavelength from short to long can be found by clicking the hyperlink (Media 1). Fig. 4. (a) Frequency of output oscillation with input wavelength detuning at different input power. (b) Duty ratio of output oscillating waveforms with input wavelength detuning at different input power. The input power is 8, 9, 10, and 11 dBm, respectively. Fig. 5. Theoretical predicted boundaries of BI and SP at the map of input power and input wavelength detuning. The black circles denote the measured BI boundaries with the upper and lower solid lines representing the 1 dB power measurement tolerance. Insets: the numerical solutions of the used model showing the output dynamical waveforms at different input wavelength detunings with fixed input power at 10 mW. The wavelength detuning is 600 and 1000 pm, respectively, which is marked by red circles. Fig. 6. (a) Experimental measured input power data of BI boundaries at different input wavelength detunings. The higher (lower) BI branch points marked by black circles (red rectangles) were measured by increasing (decreasing) the input power gradually. Two solid curves are the predicted BI boundaries. (b) One example of the relationship between output power and input power. Black: for input power increasing from lower to higher; Red: for input power decreasing from higher to lower. The power in horizontal and vertical coordinates has not excluded additional optical losses induced by couplers and polarization controller. Fig. 7. Frequency and duty ratio of SP versus input wavelength detuning with input power fixed at 10 mW. Fig. 8. (a) Experimental results of optical spectra at different input power with reverse voltage of −1 V. Inset: Zoom-in views of the spectra at lower input power. (b) Comparison between the experimental measurements (black circles and green triangles) and numerical results of the regions of BI (two pink-dotted lines). The green triangles mark the resonant wavelength before stimulating BI, while the black circles denote the BI boundary wavelength.